It has emerged today that iconic British animation Danger Mouse is poised to return to UK TV screens. 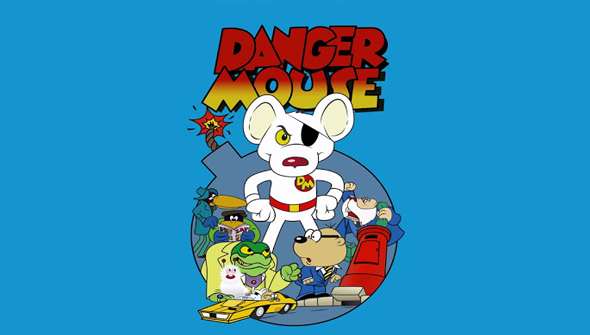 The creation of animation studio Cosgrove Hall, the story of the eye-patch wearing secret agent mouse and his bumbling hamster sidekick Penfold originally ran from 1981 to 1992. It's sharp writing and Pythonesque sense of humour made it a hit with children and adults alike, regularly attracting millions of viewers. There's been talk of a remake for some time, but it's now been confirmed the reboot has the green light and will return with 52 new episodes to air next year. While the original series aired on ITV, this time the Mouse has switched sides and will air on the Children's BBC Channel (CBBC). The broadcaster is partnering with rights holder Freemantle to make the new series, and original co-creator Brian Cosgrove is on board as a consultant. Dublin based Boulder Media will be on animation duties. No casting has yet been announced and we don't know which style it will be animated in. According to Bleeding Cool the scripts are being written by Ben Ward, who previously worked on the (very funny) CBBC series Horrible Histories. We're not prone to the cynicism and snarkyness that's prevalent in much of online journalism here at AFA towers, so we're pretty excited. DM was a classic, that still holds up well, so we'd love to see a remake that does it justice. And if it doesn't? Well, there's always the original.